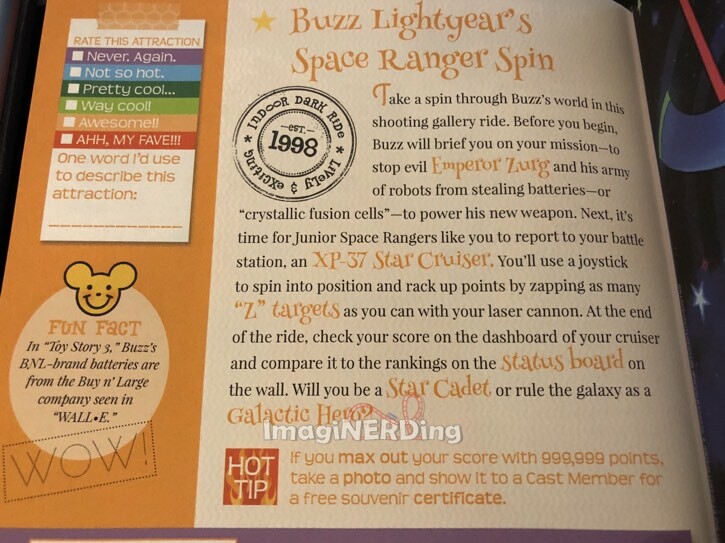 Going to Magic Kingdom is the third release in the astounding Going to Guides travel series. And there’s no hyperbole, here; Laskey has created a unique and charming series of guide books that are designed for kids but will be adored by anyone who loves Disney theme parks. Laskey uses her individual art style to create a visually stunning work that will enchant any reader. Characters and attractions featured on every page that pay tribute to the original work, but in Laskey’s style. I really can’t say enough about how engaging the book is. 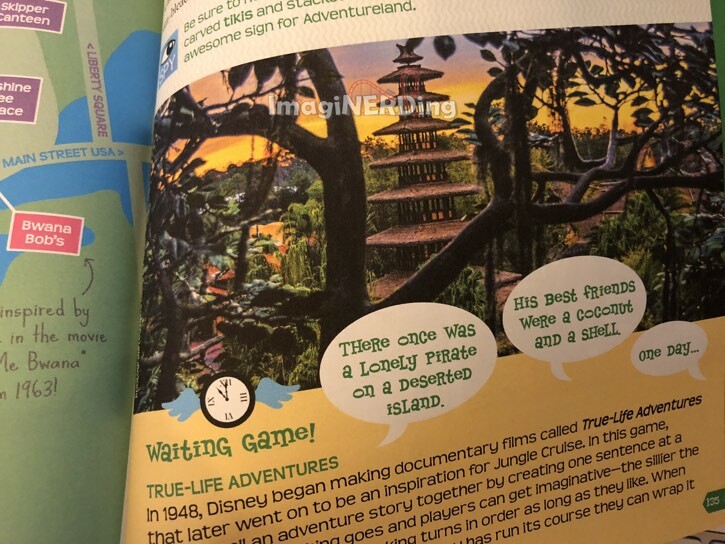 Besides the artwork, Going to Magic Kingdom stands apart from every travel guide through the attention to detail that Laskey offers; it’s detail that is going to appeal to kids that are planning their first trip or thinking about their last one. She relates the Magic Kingdom to her intended audience through anecdotes and interesting tidbits about the lands and attractions. Every attraction in the Magic Kingdom is discussed, including the potential fear factor. Laskey includes a bit of trivia, including the year opened (and sometimes a pretty cool timeline). She also adds information about key imagineers that worked on the ride or were instrumental in theme park history. But seeing Laskey’s artwork representing the attraction and characters are the true stars of the book. Seriously. My photos of the pages can’t do any justice to the book. You really have to see it in person! Additionally, there are activities while waiting in queues, like photo finds, word games and coloring sections! I remember the days when planning a Walt Disney World trip meant buying the dense and unwieldy Unofficial Guide or the semi-charming Official Guide. Now kids can watch endless POV videos YouTube without a lot of history or thought going into the planning. With Laskey’s Going To Magic Kingdom book, kids and parents can plan a vacation that offers interaction and family time; not just while reading the book, but also in the park. Laskey captures the emotional and nostalgic essence of the Magic Kingdom through her illustrations and layout. Simply stated, the Going to Guides are the best travel books on the market for Disney theme parks. Laskey captures the soul of what visiting a Disney theme park is and presents it in a style that will relate to kids and adults. 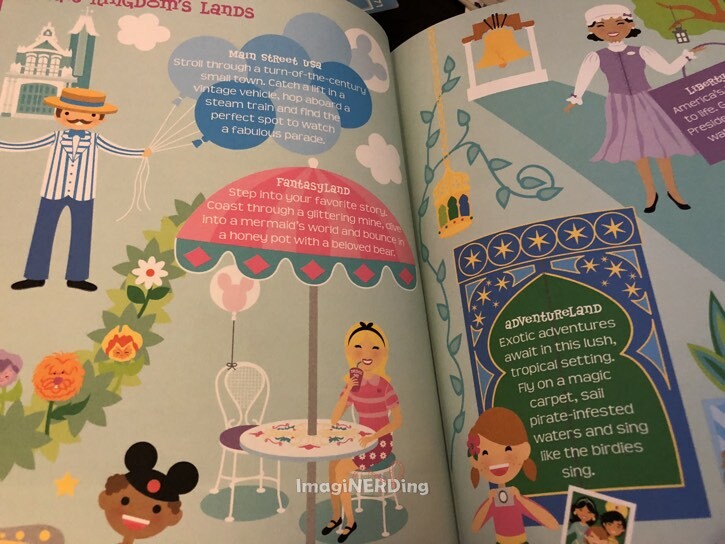 I know I gush, but the books, especially the Going to Magic Kingdom book, exemplify how a work can be artistic and provide valuable (and fun) information about traveling. Are you going to pick up a copy of Going to Magic Kingdom? Have you read any of the Going to Guides? Spider-Man: Homecoming Limited-Edition Gift Box Unboxing! Thank you George! I’m so glad you enjoyed the book. Yay! !